Foster organisational creativity and innovate successfully. Diversify your organisation and differentiate strongly. Be the leader of your industry. 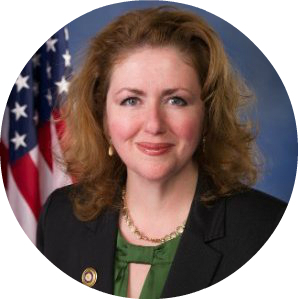 In 2010, Theresa M. Grafenstine was named the Inspector General of the U.S. House of Representatives (House), having been unanimously appointed by the House Speaker, Majority Leader, and Minority Leader. Over the past twenty-three years, she has served in the Inspector General community in both the legislative and executive branches of the US Government. As the Inspector General, she is responsible for planning and leading independent, non-partisan audits, advisories, and investigations of the financial and administrative functions of the House. She is also an active volunteer in support of the information technology, governance, internal auditing, and accounting professions. Ms Grafenstine currently serves as on the board of directors and on the finance committee of the American Institute of Certified Public Accountants (AICPA). With over 400,000 members, the AICPA is the world’s largest member association representing the accounting profession. 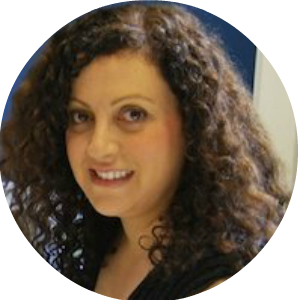 Ms Grafenstine also serves as International Vice President and audit committee chairman for ISACA, a global association with over 140,000 members in the IT audit, governance, security and risk profession. She also provides financial oversight asthe audit committee chairman ofthe Pentagon Federal Credit Union, which has over $19 billion in assets and 1.2 million members. Ms Grafenstine is a Certified Public Accountant (CPA), a Certified Internal Auditor (CIA), Certified Government Auditing Professional (CGAP), Certified Information Systems Auditor (CISA), Certified in the Governance of Enterprise Information Technology (CGEIT), Certified in Risk and Information Systems Control (CRISC), and a Chartered Global Management Accountant (CGMA). Ms Grafenstine received a bachelor’s degree in Accounting from Saint Joseph’s University in Philadelphia, Pennsylvania. Ms Grafenstine is the keynote presenter in Protect. Melissa assists senior business leaders in imagining, envisioning and designing their future digital state, as a digital transformation evangelist within Microsoft and the wider business community. This is done through relationships with the CxOs of Microsoft clients, existing and new, guiding them through establishment and delivery of transformation programs, in partnership with Microsoft, to ensure exceptional outcomes. Melissa has over 20 years experience designing and implementing leading-edge digital and technology solutions and strategies across a wide range of clients in multiple industries and government, in Australia, the United States and Europe. Melissa has worked as a global product manager for Australian and multi-national technology companies, managing clients on the Forbes 100 list. This experience has provided her with the in-depth knowledge required to deliver large complex solutions to meet client requirements. Her expertise in digital, knowledge, information and data systems means she is able to create innovative outcomes for her clients founded on proven technologies and platforms. Since 2009 Melissa has focused on the development and delivery of digital customer communication solutions. These solutions focus on anywhere personalised messaging ensuring an engaging customer experience. Melissa is passionate about digital and new media innovation. She has published papers on the application of digital technologies on the customer experience and the impact of digital on the future of information management. She has presented at multiple industry and technical forums on the application of new and future technologies to improve the customer experience. Ms Kaplan is the keynote presenter in Create. 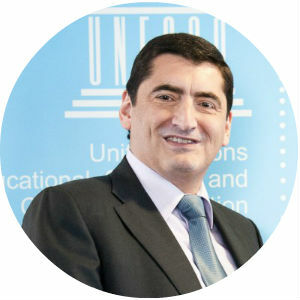 Dr Boyan Radoykov is currently heading the Universal Access and Preservation Section of UNESCO's Knowledge Societies Division, and supervises the development and implementation of several major UNESCO programmes such as the intergovernmental Information for All Programme and the Memory of the World Programme. His responsibilities also cover the realisation by UNESCO of the World Summit on the Information Society (WSIS) outcomes, the prevention of youth radicalisation in cyberspace leading to violent extremism, as well as the promotion and use of multilingualism on the Internet and the universal access to information and knowledge. Dr Radoykov's overall professional career has taken him to more than 110 countries worldwide and has been marked by a strong commitment to international cooperation for peace, security and sustainable development. Holder of a postgraduate Diploma in High Economic Studies and of a PhD in Political Science, he authored a Doctoral dissertation at the University of Paris I, Panthéon-Sorbonne. Member of the French Institute of International Relations, Dr Boyan Radoykov has also published several books and articles. Mr Radoykov is the keynote presenter in Use. Aaron is a tech entrepreneur, currently serving as the CEO of Startup Catalyst, leading missions to Silicon Valley, Europe, Israel and Asia for youths, students, founders, investors and innovation leaders. In 2016 Aaron was awarded the national Benson Award for Entrepreneurship, and also the Pearcey Award for Queensland. Learning to code at the age of 8, Aaron has started over ten businesses (with 4 small exits) since the age of 16. His largest business, Arinda, which he sold in 2012, provided a cloud-based billing and authentication platform for public-space ISPs – at the time of sale that software was used by over 250 clients with over 6 million users annually in 9 countries. 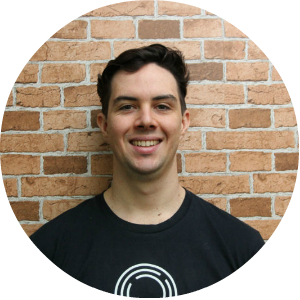 Aaron previously worked as an Entrepreneur In Residence for muru-d Brisbane at River City Labs. 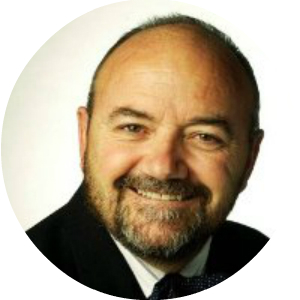 He is also a member of Queensland Government Startup Working Group, serves on a number of advisory boards, has facilitated over 30 Startup Weekend and hackathon events, has led multiple trade missions to Silicon Valley and Europe, and has a weekly technology segment on ABC Coast FM radio station. Startup Catalyst was formed to assist in the cultural transformation of the Australian economy to one that is fast paced, startup aware, and “global first”. We achieve this through the immersion of future and current entrepreneurs, corporate leaders, and investors in innovation, into high-paced startup-rich environments to help understand differences in our business cultures, and to build networks and connections for trade; on return to fully network these lessons back into the broader community. Our individual Missions are tailored specifically for the attendees, and include visits to tech giants, high-growth startups, local investors, corporate innovators, accelerators, incubators, and co-working spaces. Through structured programs including site visits, private tours, guest speakers, events, dinners and social interactions, we provide participants with deep insights and personal connections into new international markets. Mr Birkby is the facilitator of panel discussion in Create. Dimity Dornan AO is a Speech Pathologist and the Founder and Executive Director of Hear and Say, which enables deaf children to listen and speak. Hear and Say provides services for over 600 children and families. Dimity also initiated Hear and Say Research and Innovation, and Hear and Say WorldWide global professional training. 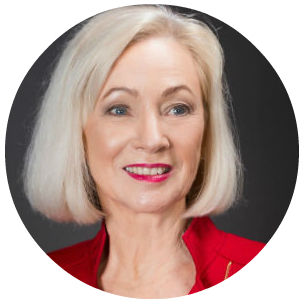 Dimity has started a number of other groups including the Queensland Hearing Nexus (a Queensland-based hearing research group), Human-Bionics Interface, linking professionals in the Human Bionics field globally, and Bionics Queensland, a state based bionics cluster development. Dimity has been named Associate Professor at University of Queensland and Griffith University, an Honorary Associate, Macquarie Universityand has been granted a number of awards including: Member of the Order of Australia (1998); Fellow of Speech Pathology Australia (1999); Paul Harris Fellow, Rotary International, (1999); Australian Medical Association Award of Distinction for Services to Medicine (1999); Ernst and Young Australian Social Entrepreneur of the Year (2005); Suncorp Queenslander of the Year (2010-2011); University of Queensland Alumnus of the Year (2011); Telstra Business Woman of the Year for Queensland (2011); Queensland Greats award (2013); Dame of Honour, Order of St John of Jerusalem (Knights Hospitaller); Officer of the Order of Australia (2014) and received the Lord Mayor’s Business Awards, Lifetime Achievement Award (October 2014). In 2015 she became a Board member of the Society for Brain Mapping and Therapeutics Australia and received the McCullough Robertson Life Sciences Queensland Industry Excellence Award, was awarded a ‘Legend of Brisbane’ by Lord Mayor Graeme Quirk, appointed to AVUK (Auditory Verbal UK) Advisory Panel and acts as Chair of Human-Bionics Interface. Dimity received both the Women in Technology, Life Sciences Outstanding Achievement Award and Brisbane Women in Business, Innovation and Technology Award in 2016. She has also been appointed as a Member of Science Committee of the 14th Annual World Brain Mapping and Therapeutics Congress of SBMT (Society for Brain Mapping and Therapeutics) in 2016. She was recently made a Fellow of the Australian Academy of Technological Sciences and Engineering (ATSE). In 2017 Hear and Say celebrates 25 years of helping children and their families to hear, speak and live to their full potential. Hear and Say was established in 1992 by Dr Dimity Dornan AO starting with just six children. Today we provide services and programs to more than 900 children, young adults and families across our Queensland centres including audiology, auditory-verbal therapy, occupational therapy and school hearing screening. We also provide Telepractice services online and through the use of technology are extending our reach into rural and remote Queensland and across the worlds. We are a not-for-profit organisation and must raise more than $10,000 each year, for up to five years, to teach one child with hearing loss to listen and speak. Hear and Say is a member of First Voice, the national voice for member organisations whose primary focus is the provision of listening and spoken language therapy services in Australia and New Zealand. Our aim is to help all children to hear, listen and speak so they can attend a regular school, have wider career choices and can fully participate in their community. Hear and Say interfaces state-of-the-art hearing technology (digital hearing aids and implantable technology such as cochlear implants) with the Auditory-Verbal Therapy approach. We are committed to using clinical research to measure outcomes. Our success lies in the vital role that parents/caregivers play in teaching their children to listen and speak. Proff. Dornan is a presenter in Use. 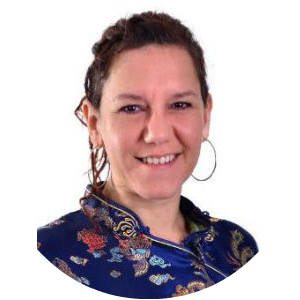 Marta Indulska is an Associate Professor and Leader of the Business Information Systems discipline at the UQ Business School, The University of Queensland, Australia. She teaches on topics related to the use and management of Information Systems and Information Technology in business, specifically with a focus on increasing operational efficiency and effectiveness. She has a background in Computer Science, having obtained her Computer Science doctorate degree in 2004, and is a member of the Australian Computer Society. 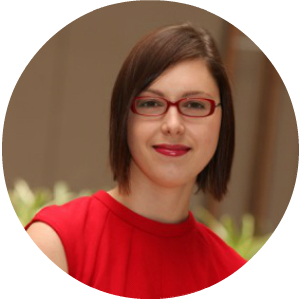 Marta's main research interests include conceptual modelling, business process management and open innovation. She has published over 80 fully refereed articles in internationally recognised journals and conferences, and has contributed several chapters to published books. Her research has been funded through several competitive grants, including ARC Discovery. Marta has also worked with several organisations in the retail, consulting and non-profit sectors to provide guidance on a variety of Information Technology topics. Prof. Indulska is a presenter in Diversify. Topic: Where Are the Tech Girls? How Do We Get More Involved and Why It Matters. 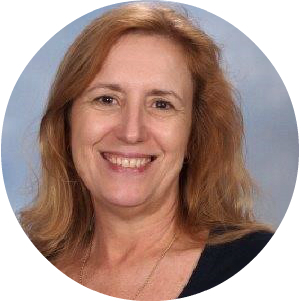 Sue is an experienced Head of Department at this large Prep to Year 12 Independent Public School located 3 kms from the Brisbane CBD. 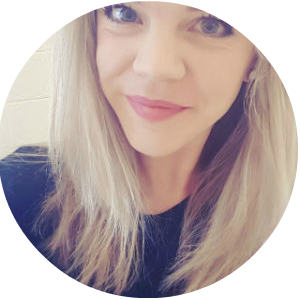 Her role is diverse and always evolving, with a primary focus on digital pedagogy, professional development and training, and digital tools and systems including the Bring Your Own Device program (from Year 7) and reporting. Sue also has responsibility for Year 8-12 Digital Technologies curriculum (including VET qualifications) and the Middle Senior Library. For many years she managed the College ICT services and infrastructure program. With significant changes to Digital Technologies curriculum being implemented over the next few years, Sue has been actively seeking opportunities for greater industry engagement to ensure that her students are ready for their chosen careers and a future which will be significantly different from today. After recently connecting with the Queensland branch of the Australian Computer Society, and the Gateway to Industry – Manufacturing and Engineering Queensland Program (with KGSC as the Engineering hub school), a greater focus has been given to establishing a talent pipeline into the ICT industry or ICT roles in other industries. Students will also have the opportunity to engage with entrepreneurship in start-up environments with mentoring. Ms Isbel is a presenter in a discussion panel in Diversify. 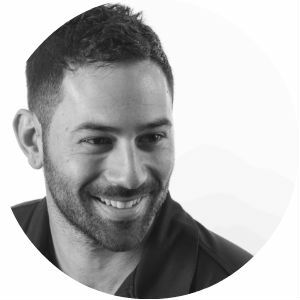 Adam has worked across multiple industries, ranging from corporate finance to film and television to education. 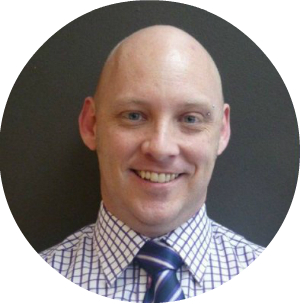 Adam is currently Managing Director of Junior Engineers, a national provider of digital technology education to Australian primary and secondary students. The business helps school children pursue their passion for technology by offering hands-on, interactive school programs in coding, robotics and other tech-related fields. The company currentlydelivers over 75 classes per week at over 60 schools across QLD, VIC, NSW and WA. 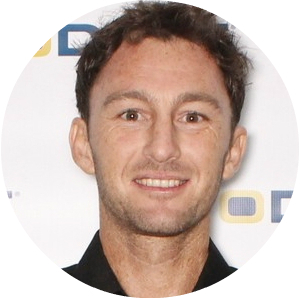 Prior to joining Junior Engineers, Adam was the CEO of The Australian Institute of Personal Trainers, Australia’s leading Registered Training Organisation specialising in the delivery of health and wellness, nutrition, and fitness qualifications via a network of 110 campuses and 250 facilitators nationwide. 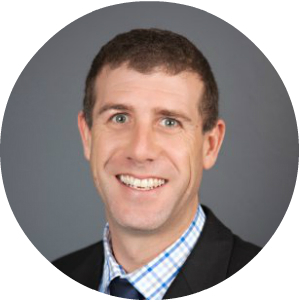 Adam’s background is in corporate finance, having worked for a Sydney-based corporate advisory house, specialising in medium and smaller corporates, divisions of major corporations, private families and high net worth individuals. Adam worked across a number of national and international transactions including mergers and acquisitions, strategic advice, IPO’s, capital raisings, valuations, underwritings, financial structuring, corporate restructures, governance and risk management. Adam currently serves on the Board of Directors of the Oranges Toolkit, a subsidiary of Camp Quality (Australia's leading Children's Cancer Charity), which delivers workshops to organisations in order to provide participants with a set of skills and tools to improve their mental wellbeing and resilience. These workshops assist companies in reducing absenteeism, improving staff resilience, improving teamwork and a creating a better workplace culture. Mr Jacobs is a presenter in Diversify. For over 20 years, Dr Therese Keane has been a stalwart for empowering girls in STEM. Her passion and many achievements have been acknowledged by her peers in her receiving numerous national and state awards. Therese is currently the Deputy Chair of the Department of Education at Swinburne University. She has worked in a variety of school settings where she has taught IT and lead in K-12 education as the Director of ICT. At a national level, Therese is the Chair of Australian Computer Society’s (ACS) ICT Educators Program, a member of the ACS Professional Advisory Board and a board member of the Australian Council of Computers in Education (ACCE). Therese is involved in the provision of professional development to ICT teachers and research into the use of technology, gender inequalities in STEM based subjects, robotics in education and computers in schools for teaching and learning purposes. Dr Keane is a presenter in a discussion panel in Diversify. Martin Lack studied Maths at Imperial College but could equally have done psychology at Cambridge. He joined the computer industry in 1968 and has worked at the leading edge of technology change ever since albeit always on the supply side. He is a poly-math and is keenly interested in the way emerging technology changes our lives. One of his first clients was Culham Laboratories with the installation of remote online programming and data access. Then the Federal Department of Customs & Excise and the very earliest use of real time systems in Australia. In 1984, he was marketing software for the early IBM PCs. Then followed a stint at UniQuest commercialising university technology. Finally, he ended up running more computer conferences in Australia than any other company. All at the leading edge of change. His value is asking apparently dumb questions which foster intense debate. Mr Lack is a presenter in Create. Adrian has degrees in Computer Science and Law(Hons) as well as a PhD in IT Security. He obtained his PhD from the Information Security Research Centre at the Queensland University of Technology. He has been practising in IT law for more than 30 years. He is a member of the Queensland Law Society and a member of the American Bar Association. In 1999 he was the QUT Faculty of Information Technology Alumnus of the year. Even though in private practice he continues to undertake research matters with academics at Griffith University and the University of Queensland and has published in a wide variety of academic journals in the USA, UK and Australia. Digital Commerce Association Intellectual Property Blockchain Committee. Adrian’s current research interests include Blockchain and its uses in supply chain management, Decentralised Autonomous Organisations, Identity Management and the development of Smart contracts in a commercial environment. He is providing advice to a number of high profile organisations who want to investigate whether Blockchain technology is suited to their business operations. Mr McCullagh is a presenter in Protect. 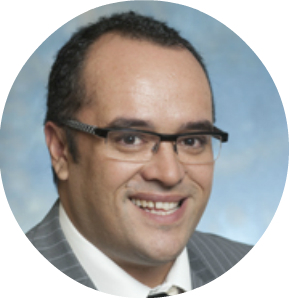 Ross Medina is currently the State Manager for ACS (Australian Computer Society) in Queensland, focused on the ICT profession being recognised as a driver of productivity, innovation and business – able to deliver real, tangible outcomes. With over 12 years marketing and events experience within the media, retail and not-for-profit sectors, Ross is partnering with organisation, educators and key industry stakeholders throughout Queensland to deliver three key objectives - capability of skills, capacity of resources and ACS as the catalyst for industry initiatives. Mr Medina is a facilitator in a discussion panel in Diversify. My purpose is to radically improve commerce through payments. I'm motivated by the quest for sustainability, in every context. I love working with people committed to delivering delightful experiences and quality, even when it won't be seen. I'm an Australian & Austrian dual citizen, also privileged with the right to live and work in the USA. While studying Commerce at Bond University, I founded CarConnect.me (formerly Bond Student Cars), the first car-sharing business to operate in the state of QLD Australia. I also setup Australian subsidiary of RealLifeConnect, of which the Austrian/US parent entity was acquired a year later by DWINQ in the USA. Both startups were successful before exits. We are building a banking platform, powered by flowpay.ai Continuous Flow Payments (CFP) technology. We provide organisations and individuals a VISA/Mastercard and an account which integrates solutions for payroll, AR/AP bills, loan repayments and automated goal achievement. Our mission: make money flow like energy, to empower people to build wealth and prosperous business. Mr Neustifter is a panelist in a discussion panel in Create. Daniel Newby: Paid pessimist - eternal optimist. Risk, assurance, governance, security, and data analytics specialist. Working in gaming, finance, government, and not-for-profit (health) industries Daniel has too much experience with under-utilised data and over-used jargon. Having such varied experience, Daniel has the answer to questions most standard assurance programs don't ask, and has developed solutions to problems many risk programs aren't aware exist. Daniel understands that data lives in a 4D world and many solutions only deliver a 2D view. He has experience in assessing security risks, and securing environments from both internal and external threats. Daniel understands that ICT is a piece in the puzzle, and not the panacea to all that ails business. In fact, he is of the belief that in some cases, relying on ICT may be the problem rather than the solution. Mr Newby is a presenter in Protect. Lani is a 20-year veteran of the information/cybersecurity profession, specialising in emerging technologies such as Internet of Things (IoT) and how they can support our digital transformation initiatives. In 2016, he co-founded IoTSec Australia Inc, a not-for-profit research and advocacy initiative to promote secure practices in the Internet of Things (IoT) ecosystem and regularly speaks at conferences on the subject. Lani is also a Director in PwC's Digital Trust practice in Brisbane. Mr Refiti is a presenter in Use. Dr Natalie Rens is the artificial intelligence specialist for the Office of the Queensland Chief Entrepreneur and co-organiser of Brisbane.AI. She has also recently completed a PhD in Neuroscience. Natalie is passionate about bringing the human element to technology and her startup(s) is focused on designing emotionally intelligent robots for children. EasyAI is one of ten teams on the QUT BlueBox Robotics Accelerator program to be developing applications for Pepper. The program is Australia’s first accelerator dedicated to robotics, bringing together entrepreneurial teams, innovative hardware technologies and world-class business mentoring. The EasyAi team have combined experience within entrepreneurship, product development, robotic systems and artificial intelligence and is supported by the QUT BlueBox program and mentors. Dr Rens is a panelist in a discussion panel in Create. 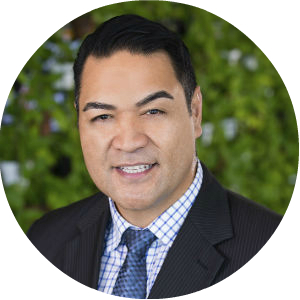 Joel is an innovative and dynamic leader with a wide-ranging track record of success spanning a decade. He has extensive knowledge of the Transit, Logistics, and Energy Management sectors. Joel has started and operated successful businesses in Australia, Bermuda, Hong Kong, UK, and the USA. Born overseas, but raised in Brisbane since 1989, he is proud to be a Queenslander and Australian and endeavours to see local ideas thrive internationally. His first business was started in Hong Kong in 2005 and went from a 2 man show to having 4 subsidiaries/affiliates with over 50 staff. Wayyd, his most recent business, is revolutionising transit by providing the best-in-class reservation and route optimisation system suited for Corporate and School daily commuting. Wayyd provides a reservation and route optimisation service for clients to resolve their daily commuting problems, where it provides the perfect combination of price and comfort. Wayyd has developed one of the world’s first frictionless platforms enabling passengers to plan an entire week of trips, choose the driver of their choice, and have 100% knowledge on cost/trip, all in a stress-free automated week-by-week service. There are no surprises in pricing as there is no time-distance algorithm, so traffic congestion and route deviation won’t affect the cost/trip. What is more, drivers essentially run their own business/hobby through the platform. They are not the typical ‘taxi’ or ‘rideshare’ drivers, rather they could be Corporate Professionals, or Parents as the case may be, who are already going the way of the passenger and/or in close proximity; they are essentially doing it to subsidise fuel costs and/or parking costs, or simply to enhance community/business relationships. Wayyd’s service creates closer relationships within communities and over time aims to be the solution to traffic congestion and wasted resources during peak-hour times, all within an affordable price range. Mr Scot is a presenter in Use. Tam is a Partner in Ernst & Young's (EY) Advisory team heading the Digital Health and Human Services practice for Oceania, bringing significant experience delivering service transformation enabled by digital technologies, designing and implementing large scale business transformations. Mr Shepherd is a presenter in Create. Topic: Convergence of the health and human service sectors – powered by Digital or a barrier? Elliot is a co-founder and CTO of Maxwell MRI. He has a degree in electrical engineering and completed a PhD in biomedical engineering designing MRI systems. At Maxwell Elliot is in charge of machine learning and developing Maxwell's first clinical application, a prostate cancer diagnosis tool powered by AI. Maxwell MRI is a Brisbane based startup that is utilising artificial intelligence to help find, manage and treat cancers. Our system is centered around medical imaging and its ability to give an accurate snapshot of human health. With an initial focus on prostate cancer, a cancer which effects 1 in 5 Australian men, Maxwell MRI is looking to fundamentally change the future of medicine. Dr Smith is a panelist in a discussion panel in Create. 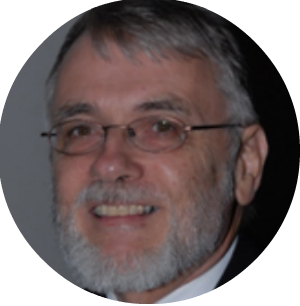 Dr Nick Tate has over 40 years’ experience in the field of Information Technology including 16 years as a CIO/IT Director at two London banks and at the University of Queensland (UQ). He has worked in the UK, Europe, Middle East, North America and Australia, including 20 years with investment/commercial banks. 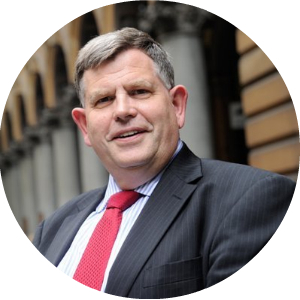 In his 2 years at Macquarie Bank in Sydney he had responsibility for Global IT infrastructure. In 2010, he chaired the World Computer Congress. As National President of the Australian Computer Society (ACS) during 2012 and 2013, Nick was the effective leader of the Australian ICT profession and he continues to chair the Queensland branch of the ACS. From 1999 to 2010, he led the Australian Computer Emergency Response Team (AusCERT), which responded to ICT Security incidents and was the national CERT for Australia. He is the co-founder of both the annual AusCERT IT Security conference and the annual eResearch Australasia conference and he continues to co-chair the latter. He is the founding Director of the ACS Future Leaders Institute (FLI) and a founding faculty member of the African Leadership Institute (ALI). 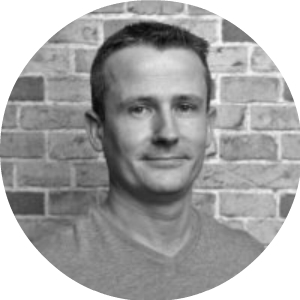 Nick has 16 years’ experience as a Company Director in 11 Australian and 2 US companies and has published over 30 columns on IT in the Australian Newspaper, Sydney Morning Herald and elsewhere. Mr Tate is a presenter in Protect. 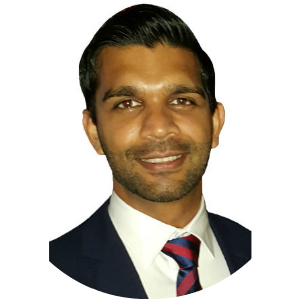 Jonathan Sri is the Councillor for The Gabba ward of the Brisbane City Council. He is a writer, musician and community development worker interested in democratic reform and cracking down on political corruption. 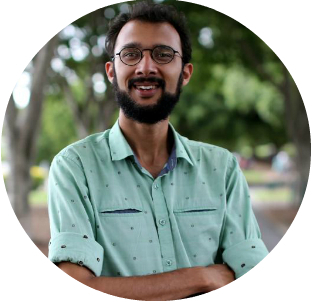 He was elected as the first representative for the Greens to the Brisbane City Council in April 2016, where he hopes to reshape Brisbane’s local governance systems to be decentralised and less hierarchical. His view is that wherever possible, decisions should be made at the neighbourhood level, rather than top-down from City Hall. Cr Sri will deliver the opening address of QuattroTech™ 2018. Copyright © 2019 QuattroTech™ | Theme by SiteOrigin.